Have you ever suffered from this? I often have this problem with names, especially those from a Dravidian or Sino-Tibetan base. The earliest word I can remember reading but not knowing how to pronounce was acknowledge and its derivatives. It was a favourite verb of WE Johns in his Biggles books, using it instead of said in dialogue. 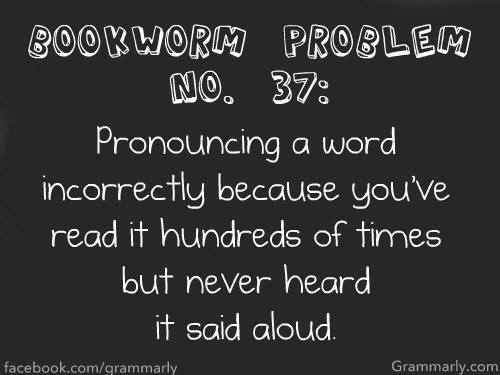 I know, acknowledge is phonetic so there shouldn’t have been a problem, but I was young and my dictionary was very small. so, is “hover” prounounced like it rhymes with “cover”, or “Rover”? I say it like it rhymes with cover, my wife says it like it rhymes with rover. I say “hover” so that it rhymes with falling. Difficult to do, but that’s the English language for you.